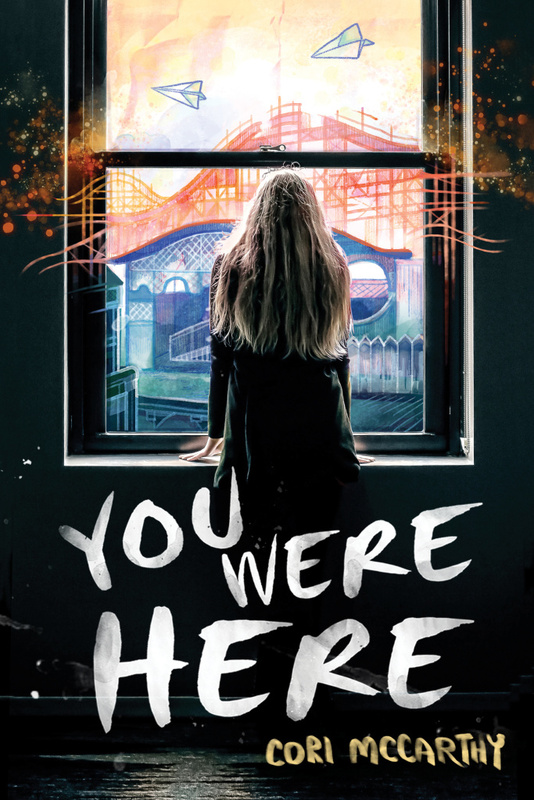 You Were Here is the story of five grief-stricken teens. Jaycee’s daredevil older brother, Jake, died the night of his graduation five years prior. Jaycee is still struggling with his death and we meet her on the night of her high school graduation, where she meets up with four other classmates who then form an unlikely team as they follow in Jake’s footsteps, completing his dangerous explorations. You Were Here is told from five different POVs—Jaycee, Natalie, Zach, Mik, and Bishop. One of my favorite things is when books include different mediums in them. This story does that by including visual art and graphic passages, which I loved. While reading, I couldn’t wait to reach either Mik’s or Bishop’s chapter to see the drawings. Jaycee, Natalie, and Zach’s chapters are told by written words. One thing that I didn’t like was how Jaycee’s POV was in first person while both Natalie and Zach’s POVs were in third person. I understand why this was done, but I still had a hard time reading due to the annoyance. The characters are what make this story. One thing that I loved was how each character is hurting and experiencing some kind of grief. Jaycee’s life was changed forever when her brother died, and she’s still trying to figure out how she can go on with her life. She wears her brother’s old clothes, sleeps in his room, and tries his dangerous stunts. Natalie witnessed Jake’s death but never told anyone. Ever since that night, she’s had panic attacks and tries to control everything in order to seem like she has her life together. She’s going off to college in the fall and wants nothing more than to leave this town behind and start her life over. Mik was Jake’s childhood best friend and has been in love with Jaycee since they were kids. Even more, because of social anxiety, Mik has chosen to be a selective mute. Zach’s girlfriend and best friend have chosen to leave town for college, which means leaving him behind. He’s afraid of everyone moving on without him. Lastly, Bishop is still heartbroken over his ex-girlfriend and is getting ready to leave for college. Each of these face teens is struggling and facing inner demons. Throughout the novel, they’re just trying to figure out they’re place in life and how to move forward. Together, they’re able to figure a little bit out and solve a couple of their many problems. Even though five main characters seems like a lot, the author did a wonderful job of portraying each as a different person. Overall, You Were Here was a good read. It took a little bit for me to get into, but once I got to know the characters a little bit more, they seemed so real. Thanks! The switch from first to third was hard, but other than that it really was a good story! I didn’t realize that this book incorporated pictures and different mediums – I love books like that! Yes, I definitely love it when pictures and other stuff are added to a book—it just adds so much more to the story! I know that I have this book on my kindle somewhere, and now that I’ve read your review, I really want to give it a try. A book having a lot of main characters can be a miss, but I’m glad that that isn’t the case for this particular story. Oh and I’m SO intrigued that this book incorporates graphics and other mediums – it sounds really really cool! I hope you enjoy it! 🙂 You’ll have to let me know what you think once you finish reading it!